Could you use some extra cash right now? Perhaps to buy yourself or your sweetheart something special? So I'm curious what would you spend $50 on? Two (2) lucky readers of The Parenting Patch, Dictated, Segment, and Kathy's Cluttered Mind will each win one (1) $50 gift card to Target. 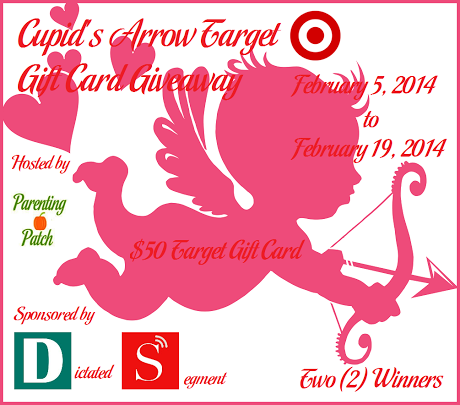 To enter for your chance to win the Cupid's Arrow Target Gift Card Giveaway, simply use the following Rafflecopter form. Good luck! Happy Valentine's Day!